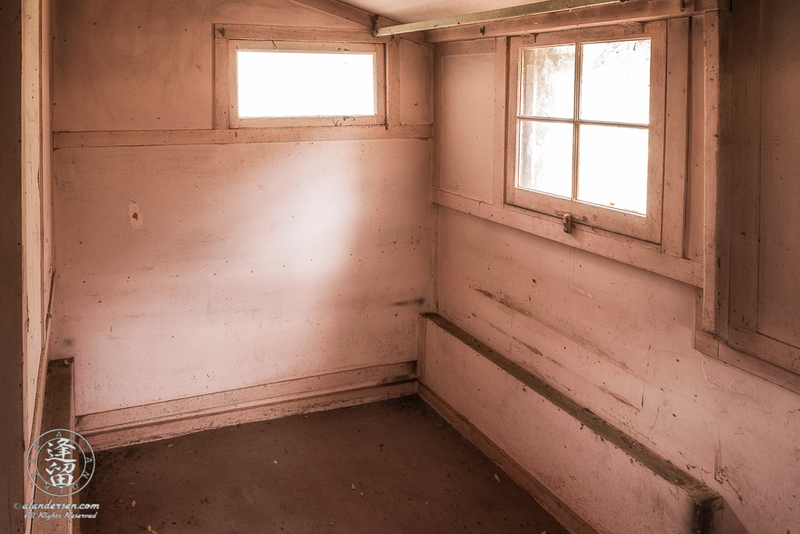 The small bedroom in the ranch house at Camp Rucker in Arizona. Note the built in bed supports on the lower parts of the walls. Interestingly, access to the bedroom is quite restricted, either via a very narrow door off the storeroom across from the kitchen, or via an outside door which leads to the aforementioned narrow storeroom door. Because of the strange access limitations, I wonder if the storeroom, which had lots of closet space, may have also been a bedroom. Perhaps it was the master bedroom and this room, with its pink walls, was a children's bedroom.